In may 2009, we interviewed Eric Bernard ,a professional video editor living in Montreal, Canada. He was passionate by science fiction and especially the television series Space: 1999. With his skill, he decided to try to modify some episodes to put right a few things that were wrong. He worked on his free time to upgrade and revitalize the show with the hope that ITV would finally give him the chance to show it to a wide public. But the main reason he choose to enhance the original series to start with, was to give the show a possibility of revival into a sequel series, dozens of years after its premiere. Resulting in a second phase project called Moonbase Alpha's Legacy. A story that return to the origin of the series, bringing the original characters and their offsprings in a new provocative sci-fi adventure that will bring answers to the mysteries we (the fans) were left with. It was an enormous surprise when a new Space 2099 series from ITV was announced last week and that Eric Bernard was no where to be seen in this project. A project that he gaved heart and soul in for over a decade. The project has already the support of many people from the original crew as well as Wes Sargent, vfx lead artist on all the Stargate series. The Sci-Fi world contacted Eric to learn more about this recent event. Gilles Nuytens: The Scifi World has been following your work on Space 2099 since 2009. This news that a new series was going to be produced by ITV and HDfilms was a big surprise for us. How did you react when you learned about it? Eric Bernard: Gilles, It is very nice of you to contact me and wondering about my feelings and thoughts about the news of this re-imagined Space 2099. The news was not a shock to me, as I was aware of Mr. Hall Space 2099 since last November. Mr. Hall had contacted me about it, as he knew how involved and present on the internet we have been for the past few years. I was offered to be involved in his project, but after many hours of talks, we didn’t come to an agreement. I respect Mr. Hall project and vision of his re-imagine Space 2099, but I didn’t share it. Gilles Nuytens: You were the first to promote the idea of Space 2099, almost four years ago? Eric Bernard: Yes, I was the first to bring Space 1999 into 2099 on the internet. And three times, we have sent our documents to ITV, the last time being in early summer 2011. I am probably not the first one to have thought of forwarding 1999 to 2099, let’s be realistic, It doesn’t take a high IQ to go from 19 to 20. But to actually make something with it, is another matter. The amount of work that was involved to enhanced the original series into Space 2099 was considerable, and I am very proud of what we have done. However, in the course of our project, we realized that it would be a more logical step to work on a series sequel first, so that we could, later one enhanced the original series. So, with already some effect done for the series sequel, we could re-use some for the enhanced series, reducing its cost. It is also easier to find financing for a new product, like a movie or a series rather than for enhancing a old one. This is why we decided to focus our work on our sequel movie/series project called Moonbase Alpha’s Legacy. Gilles Nuytens: And what is Moonbase Alpha's Legacy exactly? Eric Bernard: Legacy is a story that not only brings back the original crew of Alpha, and a new generation but also answers. Answers to the questions we were left with, almost 40 years ago. 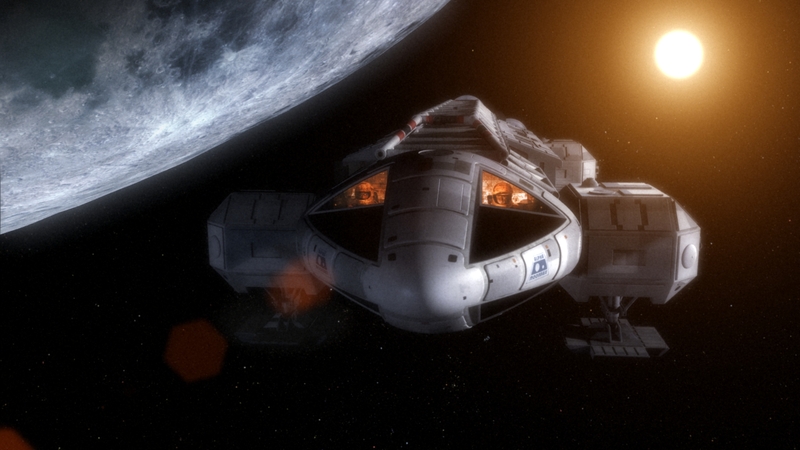 We must not forget that Space 1999 had no ending, and that its story is incomplete. Just for this reason, making a sequel movie that would conclude it, made perfect sense. And the idea of starting over like a reboot, remake or re-imagine, and knowing that the lifespan of most television series our days is shorter than before, makes me worry that we could get a second series that would have no more ending than the first one. I also find that re-imagine Space 1999 is less challenging than working with the original series stories, and trying to compose with it to make an epic ending to an epic series. Our Moonbase Alpha’s Legacy story not only brings an end to the original adventure, but it also brings a totally new view into the original episodes. Meaning that after watching Moonbase Alpha’s Legacy, you will look back at the original series in another fashion. It is like if you were watching the series LOST for six years, and then going back into the series, now knowing what the clue meant. However contrary to LOST, we do have answers for the ending of the Space 1999 saga. That’s what I like to call: respecting the fans and the time they have spent watching with fidelity. Gilles Nuytens: So, you must not be happy with the re-imagine series that has been announced? Eric Bernard: Now, again, I am not against Mr. Hall’s sci fi series and ITV's choices. From what I have read on their website, they have an agreement with ITV America who is financing this project, but are at a very early stage of production, meaning that the story, the characters, and obviously the production team are still embryonic. The fact that they are opened to fans feedback and thoughts about Space 1999 is also a sign of early production, but a nice and appreciated gesture. Moonbase Alpha’s Legacy is kind in a reverse situation. As a 1999 fan myself, I have been listening to others fans feeling, thoughts and wishes for over a decade. Since the 2000 convention in New York, I have gather together all these input and later on, came up with Space 2099 and now, Legacy. So, the research stage has been evolving and growing with me for years. So my view of HDfilms gesture is more like a very nice gesture rather than a real long term survey. Gilles Nuytens: You do not have the rights to make your movie at this time, but do you have a script? 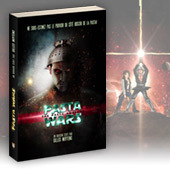 Eric Bernard: Our story and script is done and is being reviewed by Christopher Penfold, the original script editor of Space 1999. If you want to capture the spirit of a series, then go back to it source and you should find it. And that’s what we’ve done. Our story is solid, strong and also very complex. Christopher not only was Space 1999 script editor, but he was also the script editor of Midsomer Murders, a series that deals with very strong plot and storyline, that are often very complex. So, our script couldn’t be in better hands than with the one of Christopher who has touched both genre of Sci-fi and drama. Our characters are well established and we know who we want in our cast. Gilles Nuytens: I think that you are also well served with your visual effect team, aren't you? Gilles Nuytens: And what about the financial aspect of doing such a project? Eric Bernard: In the past year, we have made good relation (no commitment as we do not own any rights) but good contact with Canadian broadcasters and also in Europe. And, as if I had to mention it, Space 1999 was a cult television series in many countries, so finding their interest in Legacy for financing the project is possible. At this moment, Legacy is far more advanced and ready than HDfilms Space 2099 since they are still looking for fans inputs. Gilles Nuytens: What this new series announcement has done to your future project? Eric Bernard: Now, if I have paved the way for Space 2099, its official announcement from HDfilms has created a wave that has brought more attention to our project and our vision of the series. Our Facebook page has received many new members in the past two days and our website traffics has also grown. The fact that we are established on the web since 2008 and that we own www.space2099.com, but also spazio2099.com, cosmos2099.com and 4 others gives us a front row seats on the internet. Gilles Nuytens: Any final words you like to share with us? Eric Bernard: Looking at both project and the division it started to create in the fan base community, I would like to use this public platform to offer a friendly proposition, a challenge for a lack of a better word, to Mr. Hall and Mr. Paul Buccieri, Managing Director of ITV Studios International. Since they claim having fans interest in mind, they probably would not mind letting a second project going. Like one very active space 1999 fans mentioned in his blog, "The only thing better than one new series based on SPACE: 1999 would be two!" There you go ITV, you’ve heard it. Fans have a soft spot for the original series and its cast. Bringing them back, for one last time, as their own character would be the greatest gift ITV could give. 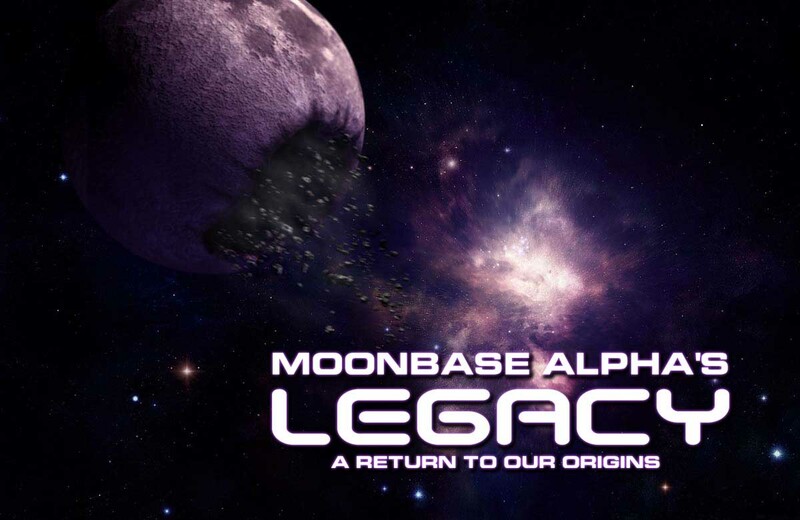 Since our project has already a solid foundation, why not allowing Moonbase Alpha’s Legacy to simply exist. Licences and franchises are often sold for different media at the same time. There was a Terminator movie while the tv series was still running. Both had nothing to do with one another. None of them shadowed on each other, in fact, it probably helps. So, why being both in the shadow of the other, and have our project running at the same time, bringing all fans not into criticism and division, but for full openness and joy. 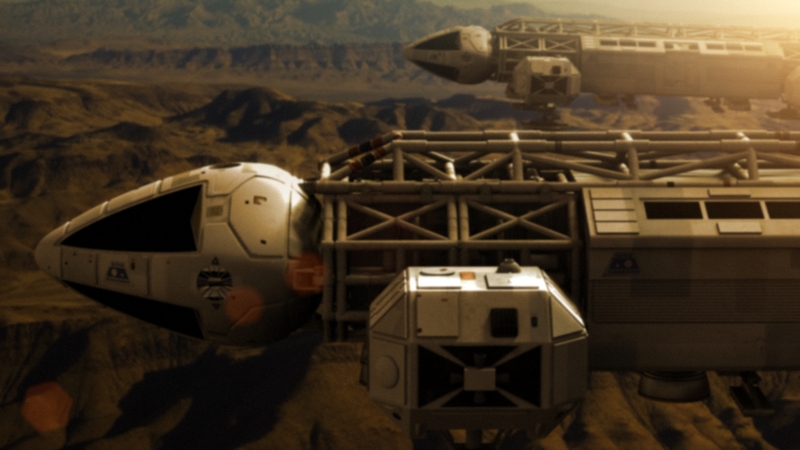 Space 2099 and Moonbase Alpha’s Legacy story and design are light years apart. These two are different product. To make this possible, we only ask to be permit to use the licences of Space 1999 and not the Space2099 name as a title. No investment from ITV is being asked. Only a two year licences agreement for us to make Moonbase Alpha’s Legacy. We’ll take care of finding the financing. Liberate the right for us, no money asked, and Mr. Buccieri, the only thing that can happen is a possible second income for ITV. entlemen, the ball is in your court now. Fans will be waiting to see how much you care about what they wish for.